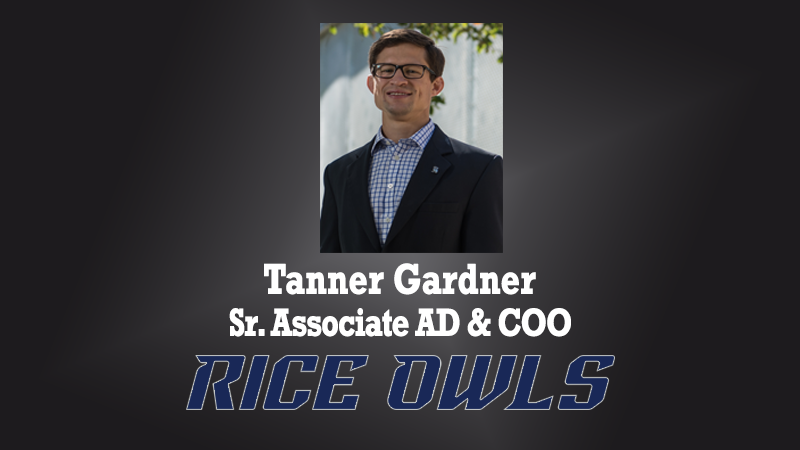 Tanner Gardner, Sr. Assoc. AD & COO at Rice, visits the 1.Question Podcast to discuss how his background as a business management consultant in the corporate world helped land his initial position as Chief Revenue Officer; a role which oversaw most aspects of external operations. As COO, Gardner is responsible for a majority of the department’s business operations, traditionally a function of the internal side of the house. A role he says brings strong corporate business practices to college athletics.